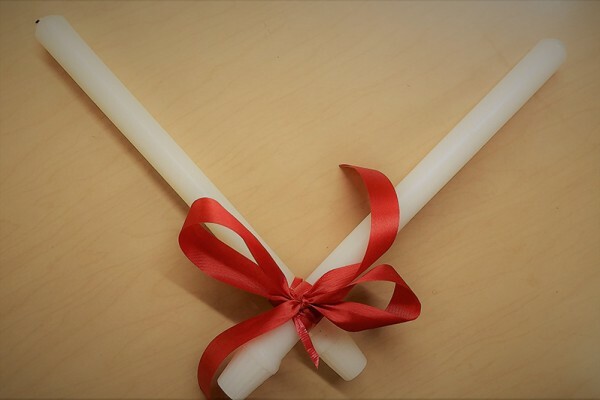 For those of us old enough to remember February 2nd as the end of Christmas, you probably also remember how, as children, we were all excited to get our throats blessed on the Feast of St. Blaise. As a child, I wasn’t so sure about those candles, but it was probably the only time in my life that I stood still till the blessing was over. If we stretch our imagination and remember the cough medicine commercial that shows a blue cloud when a person coughs, can we also think of times when our words caused a blue cloud to fall on another? How many times have I said things to an already hurting person, only to bring them down even more? How about my reactions to certain situations -- are they always negative? Am I capable of putting a positive spin on a situation or is the immediate response always negative? Can I offer congratulations to another when they succeed at something or do I have to put them down in some way? Can I recognize the gifts a person has or do I only see their faults? That is a lot of blue clouds floating around. I must tell you that when I had another opportunity to get my throat blessed last weekend, I went for it. My prayers were to have God deliver me from all aliments of my words. Just thought I’d share that with you, and perhaps the next time you have your throat blessed, you may think more about what it can really mean.